You trust your plumber serving Jacksonville to help you with your water heater, sewer, and slab leak repair, but you might not fully understand how your plumber performs these tasks. Leaks inside the walls are especially dangerous because they often go unaddressed, but your plumber always knows how to find them. Watch this video and see how your plumber finds leaks inside your walls. Your plumber is a professional and can find the leaks in your walls with ease, but it’s usually not too difficult for the average person to determine where a leak is coming from. If you know there’s a leak somewhere in your wall, look for the wet spot. Keep in mind that the wet spot may not be where the source of the problem is, since gravity pulls the water down. Your plumber will cut a hole in the drywall, find the pipe, and address the source. Hidden leaks might be even worse than obvious ones, because they’ll continue to waste the water you pay for until you find them and fix them. Additionally, leaks of any kind, size, or origin can have negative effects on your office or living space. Leaks can come from your sewer line, your faucets, or even appliances like your hot water heater. Mold and mildew are common signs that it’s time to call the plumber in Jacksonville. You should also keep an eye out for deteriorating walls, as well as stains in the ceiling and a sponginess in your floors. Keep reading for more on detecting a hidden water leak. It doesn’t take much for mold to survive, grow, and spread. Moisture is one of the only necessary ingredients, which makes a hidden water leak dangerous for your indoor air quality. If you notice a mold or mildew problem and have it cleaned up, and never see it again, then you probably got the problem at its source. If it keeps coming back, then it might be due to a water leak you haven’t been able to find. Don’t waste any time in calling your plumber to help you deal with the leak. Mold spores cause allergy and asthma symptoms, and certain kinds of mold can be much more dangerous. If your walls appear to be buckling, consider whether they may be a leaky pipe behind them. A leaking supply line may saturate the wall that hides it, causing it to swell up and then crumble. The same situation can cause visible changes in your wallpaper or your paint job. Your plumber can open the wall and repair the leak, and then you can focus on repairing the wall. 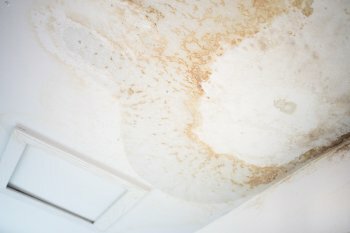 When you lay down on the couch and notice yellow or brown spots on your ceiling, you may have a leak coming from upstairs. The same could be the case if your flooring feels moist or spongy, especially if you have wood floors. If you want to add value to your home, it is a great idea to work with your plumber on a kitchen renovation project . Your kitchen remodel can provide you with new countertops, appliances, and cabinets that improve the style and value of your space. 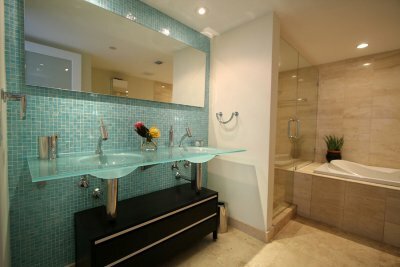 Before you start on your kitchen or bathroom design project, talk to your plumber serving Jacksonville about where you should splurge in your renovation process, and where you might want to save. Let’s review three kitchen upgrades that will provide you with a terrific return on your investment. Quality countertops are essential for any new kitchen design. 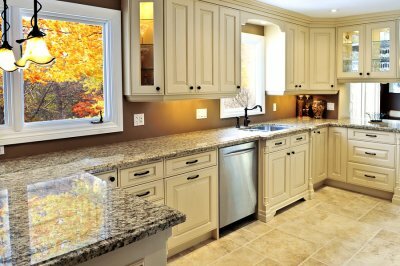 Today’s countertops are available in an assortment of materials, including natural stone products such as granite and quartz. By spending a bit more on your new countertops, you will be able to create new kitchen counters that will withstand daily wear and tear. Your high-quality countertops will also add a rich dimension of style and beauty to your space. New kitchen cabinets can be fairly costly, especially if they have been customized for your space. While you may be surprised at the initial price of your custom kitchen cabinets, spending more on your cabinetry will actually add terrific value to your kitchen in the long run. In the event that you want to sell your home at a later date, your custom kitchen cabinets can offer a great selling point that will attract potential buyers. Purchasing new appliances can completely transform the utility and overall appearance of your kitchen. Generally, your kitchen remodelers will recommend that you leave room in your renovation budget for high-quality appliances that are built to last. Energy-efficient appliances, such as a new refrigerator, can also help you cut down on your bills throughout the months and seasons. When you spend a bit more on your appliances, you will also have the option of picking out stainless steel or other premium finishing materials that pair beautifully with your newly updated kitchen. 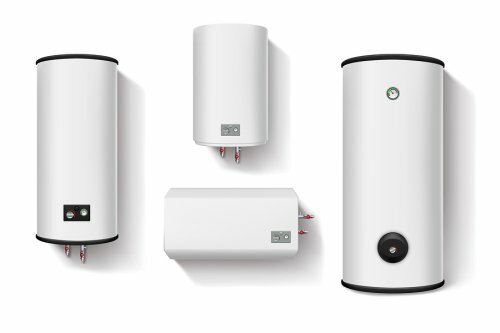 Tank and Tankless Water Heaters: What’s the Difference? When it comes time to replace an old water heater, many homeowners debate whether to get a new tank-style water heater or switch to a tankless variety. 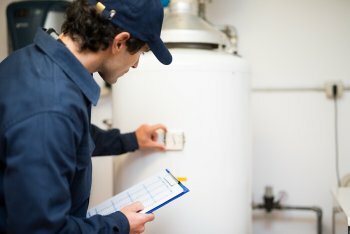 Are you considering your options for a new water heater in Jacksonville? If so, then watch this video to learn about the differences between tank and tankless water heaters . Tank water heaters are the traditional option that constantly heats a tank of water to keep it at a set temperature. These appliances have heating components inside the unit that are usually fueled by either electricity, propane, or gas. Tankless water heaters, on the other hand, only heat water as it is needed, which is why they are sometimes called instant water heaters. The right tankless water heater setup for you will depend on your family’s hot water usage and your home’s plumbing.